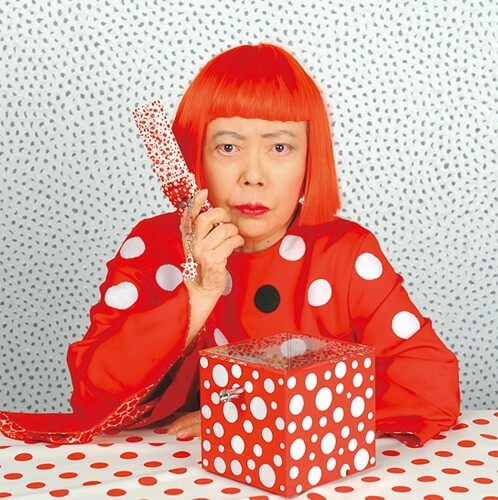 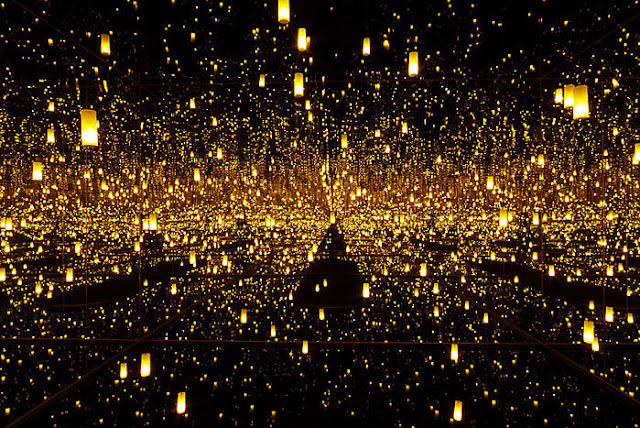 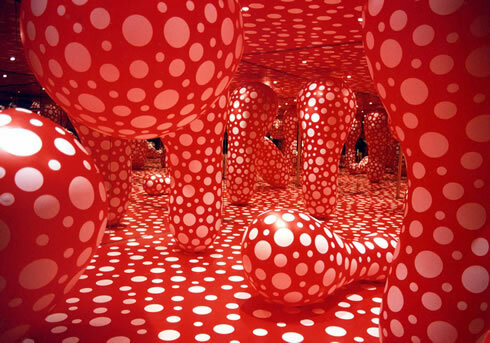 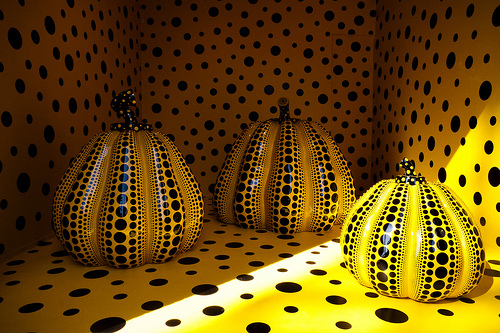 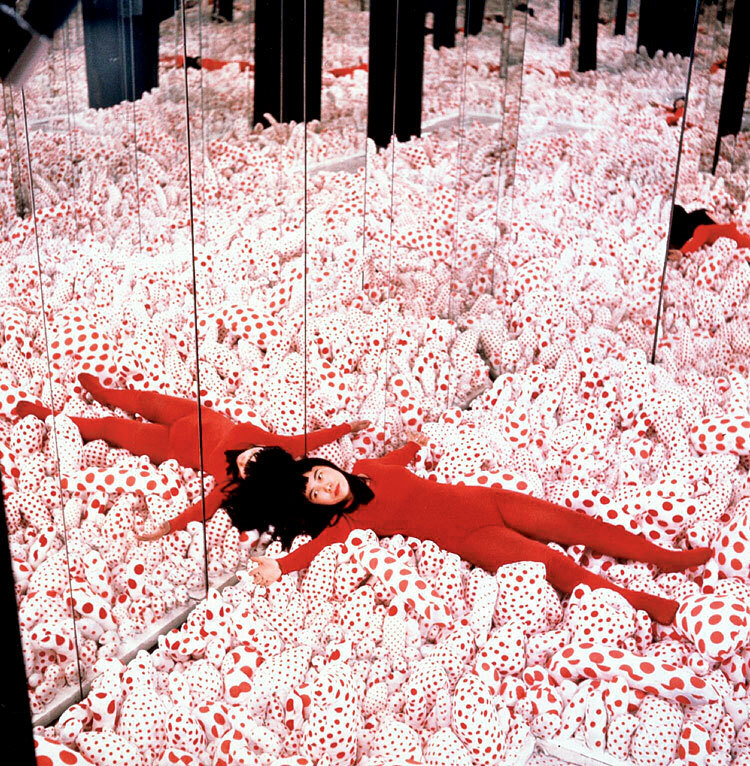 Yayoi Kusama is best known for her obsession with polka dots, which she has painted since age 10 and applied to canvases, tree trunks, entire rooms and people...and now she is collaborating with Louis Vuitton for a whole collection of items w Marc Jacob (as artistic director). 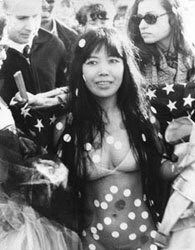 In the 60's she was influenced by the anti-vietnam war movement and the American Presidential election. In the 70's she was institutionalized in Japan for obsessive thoughts...which to this day she struggles with, but pours out into her art. She is a fascinating struggling soul, w complete madness... and she's absolutely amazing.